Eric G. Pryor, joins Harlem School of the Arts, which stands apart among the premier arts institutions in New York City as the sole provider of quality arts education in four different disciplines: Music, Dance, Theatre and Visual Arts. HSA enriches the lives of young people and their families in Harlem and the Greater New York City area by providing: unrivaled on-site arts instruction; vital outreach partnerships with New York City schools; quality performances and exhibitions that attract diverse audiences to its dynamic cultural arts facility; and prominent guest artists who actively engage the school’s community in the creative process through workshops and master classes. Through these enriching activities, HSA creates opportunities for both children and adults to fully experience the benefits that the arts can bring to their lives. Mr. Pryor joins HSA after over four years as the Executive Director of The Center for Arts Education. 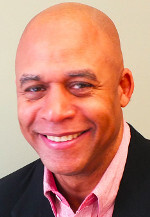 With over 15 years’ experience in the development of multidisciplinary arts and education programming, Mr. Pryor provided direction and oversight for all of CAE’s teaching and learning programs, professional development activities, advocacy and public engagement initiatives, and fundraising efforts. Prior to joining CAE, Mr. Pryor was the Executive Director of the New Jersey State Museum (NJSM) in Trenton, New Jersey. NJSM, known as New Jersey’s “Smithsonian,” boasts a collection of over two million objects and specimens, the state’s largest Planetarium, and 38,000 sq. ft. of exhibition space. As Executive Director, Mr. Pryor successfully revitalized this historic institution with the re-opening of 60 percent of five major attractions within a two-year period including the re-opening of the Planetarium in April 2009 (he provided oversight for the design and installation of a state-of-the-art Full Dome video system), the Cultural History Collection gallery in June 2010 and the Fine Art Collection Gallery in September 2010. Mr. Pryor managed an operating budget of three million dollars. Earlier in his career, Mr. Pryor served as president of the Visual Arts Center of New Jersey (VAC) in Summit, New Jersey. During his tenure at VAC, he developed and implemented a five-year strategic plan built around a $5.4 million capital campaign that expanded the VAC facility from 13,000 sq. ft. to 24,000 sq. ft. with three new exhibition spaces and nine state-of-the-art studios for art classes. He was also responsible for expanding the Education Outreach program’s partnerships with various schools and organizations, reaching over 1,300 students annually. Mr. Pryor began his Arts career as Executive Director of the Bedford Stuyvesant Restoration Corporation’s Center for Arts and Culture (CAC) in Brooklyn, New York. CAC, the country’s first and largest community development organization, uses arts programming as a community-development tool. At CAC, he served as head curator and developed and managed several CAC programs including the Skylight Gallery and the Performing Arts/Presenting Program. He was also responsible for developing the Playwrights Den, a scriptwriter’s workshop for young playwrights and the Restoration Youth Arts Academy, a multidisciplinary arts training program serving 500 students on-site and 1,000 in New York City schools. Mr. Pryor is an active community volunteer and uses his educational and professional arts background to advance the goals of organizations that he serves. Currently, he is a member of the Boards of Directors of the Mid Atlantic Association of Museums and Volunteer Lawyers for the Arts. Formerly, he served as a board member of Art Pride New Jersey and Paper Mill Playhouse and as an advisor for public arts projects for the New York Foundation for the Arts and the Metropolitan Transportation Authority. Mr. Pryor is a graduate of Tyler School of Art, Temple University (Master of Fine Arts, 1992) and Wayne State University (Bachelor of Fine Arts, Painting, 1990). He completed Columbia University’s Executive Leadership Program for Nonprofits in 1997. Mr. Pryor resides in West Orange, New Jersey with his wife and two young daughters.